The "perfume" fragrance is very amazing at the first taste. Lao Cong literally means ‘old tree’; it refers to tea made from older trees. As a tree ages, its roots spread deeper and can absorb richer minerals, which allows the tea leaves to flourish and take on a notably different aroma and taste. Lao Cong tea has a special flavor, smooth with a bold, sweet aftertaste. Why is it called Mi Lan Xiang? Mi Lan Xiang means ‘honey orchid fragrance’ and is one of the famous types of Phoenix dan cong, with a mother tree older than 600 years. The tea has a characteristic honey aroma and orchid flavor, giving it this name; these flavors are wonderfully blended together in the tea, making it an exceptional specimen. When we drink tea, our mouth is filled with the natural aroma of the leaves, like an elegant perfume. 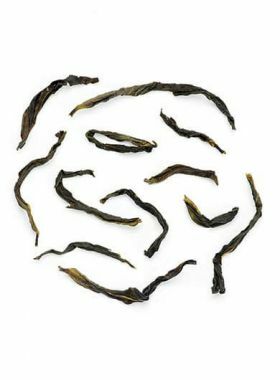 Because of this, many tea lovers say that dan cong is a kind of drinkable perfume; when savoring the tea, the taste is mellow and smooth with a strong, sweet aftertaste, the sweet honey and elegant orchid flavors mixing perfectly with the mountain minerality to build a totally unique drinking experience. Drinking this tea in a zisha teapot can better bring out the unique flavors of this tea, and make its aroma and flavor more vivid. Da An Tea Garden is located in Feng Huang Town, with the tea trees growing in a mountainous environment at about 1000m, with an average annual temperature of around 20℃. At this garden the soil is rich with trace elements, allowing the trees to absorb rare nutrients and grow well; the high altitude and temperature differences provide a favorable condition for growing the tea, as well as preventing pests; and the year-round diffuse clouds further aid the high-mountain tea, with foggy days and higher humidity up in the mountains. Altogether, the tea grown here is thick and rich, and excellent quality. 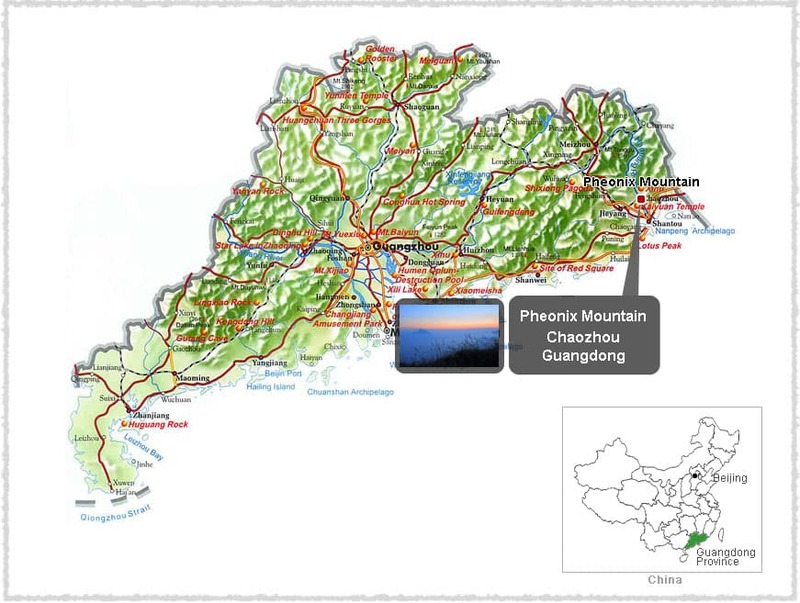 The Chaozhou Phoenix Mountain, among the 73 Phoenix Mountains, is known for its tea. It has beautiful scenery, fresh air, and a mild, humid climate. 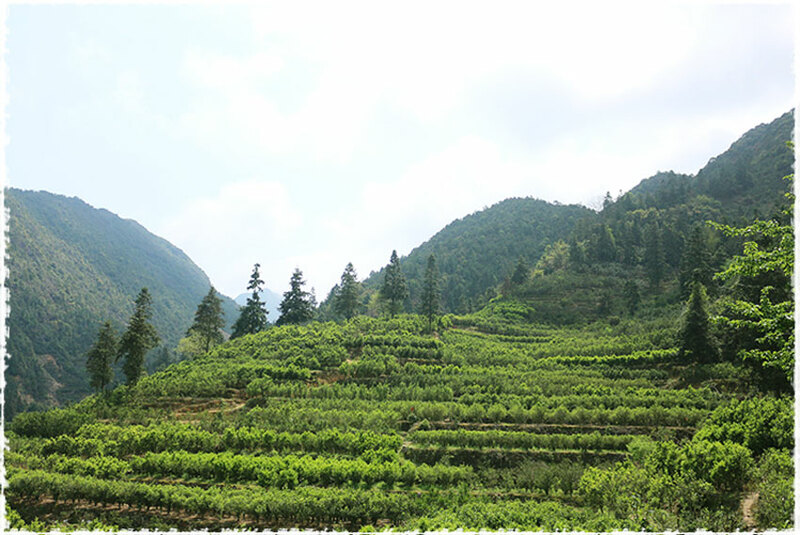 The mountain is not only a tourist destination but also the main production center of China’s well-known Phoenix Dan Cong oolong tea, which draws its unique fragrance and taste from the soil. 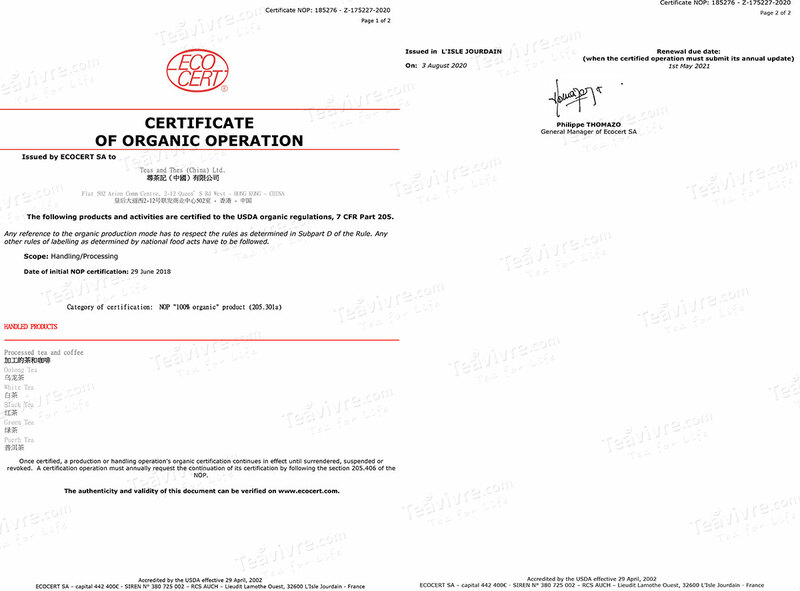 It is thanks to Mr. Li that we can offer you this Lao Cong Mi Lan Xiang Dan Cong oolong tea. Mr. Li comes from Chaozhou, Guangdong, and met Angel at a tea expo where he heard that she was searching for unique high-quality teas, and as a result, he recommended this dan cong to her. 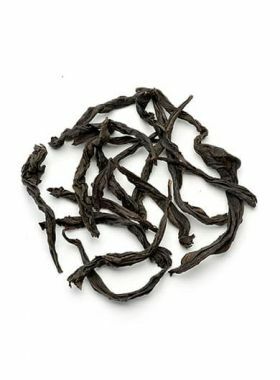 Angel found that it was different from the other Guangdong dan congs offered on our site: even though the aroma is strong and rich, it does not cover the actual taste of the tea, instead working together with it and bringing out the best in each other, which stood out to Angel. During their conversation, Mr. Li told Angel of his experience with this special type of tea. Born in a small village in Fenghuang County, he had his first introduction to tea picking, crafting, and drinking at a very young age, the most unforgettable of which turned out to be Dan Cong tea. After graduating from college he returned to his hometown and there started to broaden the tea market, not only for his own family but for the villagers as well. Meanwhile, he has also dedicated himself to finding tea friends and partners, and recommends to them his natural and authentic Dan Cong oolong. Mi Lan Xiang is selected from the natural hybrid progeny of the Fenghuang Shuixian colony species, and belongs to one of the ten famous types of nectars of the Phoenix Dan Cong species. 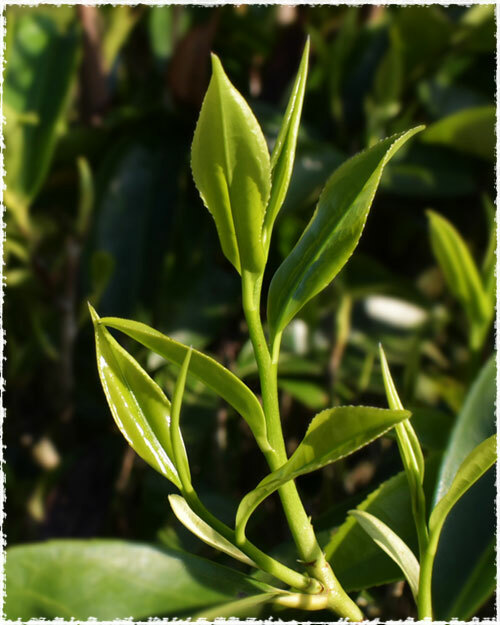 This tea bush is tall and thick, with soft oval leaves. The tea contains over 50 aroma components, allowing oolong tea made from the leaves to develop a long-lasting, unique fragrance and mellow taste, with the black and green teas made from these leaves also taking on a characteristic quality and flavor.